The Miracle of Christmas – and every other day. This is the essence of my Christmas message as featured in our end of term assembly. The Santa story is a lovely piece of family magic. My kids love it.. even though my son, aged 11 is at the eye-rolling stage when we put the mince pie and carrot out for Santa on Christmas Eve. “I’m nearly 12 you know”, he says. But he’s also got butterflies.. all the anticipation and magic of presents appearing by the fireplace in the morning.. with the mince pie half eaten. Santa’s workload (focusing just on ‘good’ Christian children – to make things easy) is about 15% of the total – 378 million. At an average (census) rate of 3.5 children per household, that’s 91.8 million homes. One presumes there’s at least one good child in each. This means that Santa’s sleigh is moving at 650 miles per second, 3,000 times the speed of sound. Assuming that each child gets the equivalent of a medium-sized lego set (2 pounds), the sleigh is carrying 321,300 tons, not counting Santa, who is invariably described as overweight. On land, conventional reindeer can pull no more than 300 pounds. Even granting that “flying reindeer” could pull TEN TIMES the normal amount, we need 214,200 reindeer. This increases the payload – not even counting the weight of the sleigh – to 353,430 tons. 353,000 tons traveling at 650 miles per second creates enormous air resistance – this will heat the reindeer up in the same fashion as spacecraft re-entering the earth’s atmosphere. The lead pair of reindeer will absorb 14.3 QUINTILLION joules of energy. Per second. Each. In short, they will burst into flame almost instantaneously, exposing the reindeer behind them, and create deafening sonic booms in their wake. The entire reindeer team will be vaporized within 4.26 thousandths of a second. Santa, meanwhile, will be subjected to centrifugal forces 17,500.06 times greater than gravity. A 250-pound Santa (which seems ludicrously slim) would be pinned to the back of his sleigh by 4,315,015 pounds of force. It seems implausible! Do you think? But still, every Christmas, there is magic in our house – and we’re devotees of the NORAD Santa Tracker. BUT, as is often the case, real life can be much, much more magical and astonishing than stories like this. I’ve been working on Space with my Y9s and my Y13s this week. We’ve been contemplating the scale of the Solar System and the distances to stars. My Year 9s, measured out this scale model on the field. The Sun is a 2p coin; at each boy’s feet, is a bit of paper with a planet – a small dot less than 1mm across. 2p coin is the Sun. Students stand on the planets, dots on bits of paper. What we realised was just how empty space is. The Solar System is a few tiny dots of matter orbiting a 2p coin…from a distance of many metres. Pluto didn’t even fit in the field. 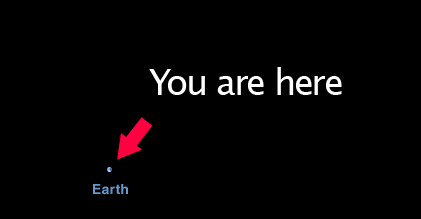 But what lies beyond Earth? If we extend the scale model further, we can consider the next nearest star to our own. Light from the Sun takes 8 minutes to reach us (2 metres on this scale). The next nearest star is Proxima Centauri – 4.2 light years away. That makes it over 500 km away on our model; about the distance to Edinburgh: A 1p coin in Edinburgh relative to a 2p coin in London or Chelmsford. That’s the scale – and there’s nothing in between. That awe-inspiring fact, to me, is massively profound. Our lonely planet is very, very much alone; isolated in the vast expanse of space. And that brings me to Christmas. Surely, the very fact of our existence on Earth is the greatest wonder of all. 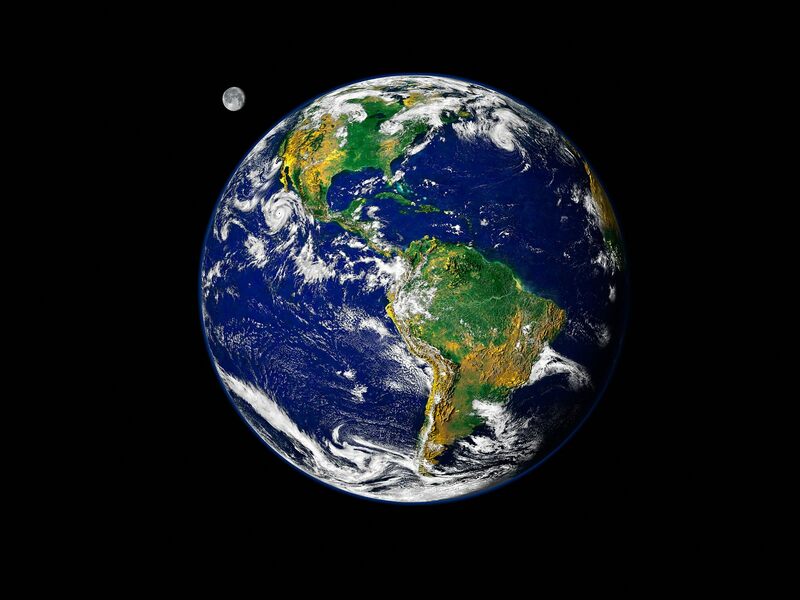 We’ve only got each other and this planet – but that counts for everything. And it means that the greatest thing we can do is to look after each other, to be kind, to be generous, forgiving and loving…. and to look after the planet we’re on at the same time. That is the magic of Christmas and of every day we ever live. I think that is well worth celebrating. 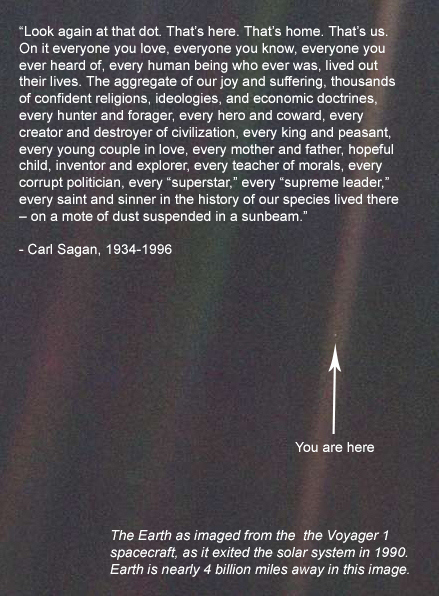 The Carl Sagan view of Earth; humanity alone on a lonely planet. See also: Reflections of an Atheist Headteacher. Nice. The ‘If Santa was Real’ thing was quite funny!